There are five interactive question types, all of which let you ask every student for their answers, opinions, ideas, and creativity. 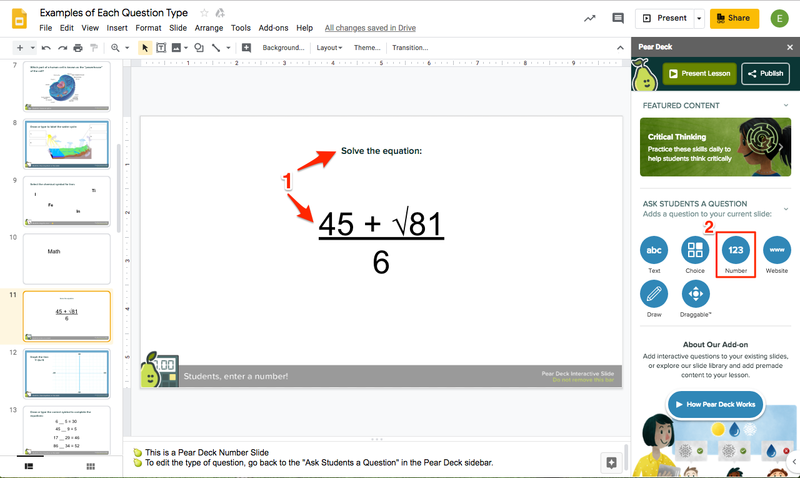 When you ask students a question with Pear Deck, each student answers on their own screen. You can then display their answers on the Projector View, where responses are displayed anonymously by default. 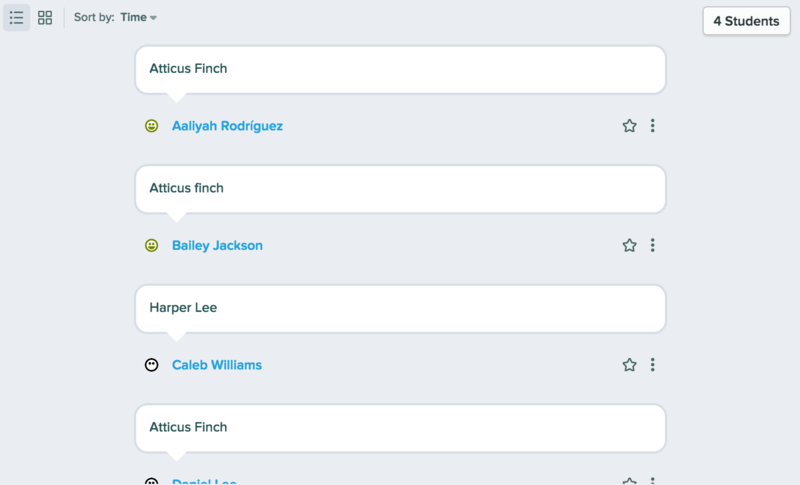 With the Teacher Dashboard (a Premium feature) you can see names next to each answer. Keep reading to learn how to create each type of question slide! Configure the way students will respond on their screens. Let's take a look at each question type as they each have their own formatting options. Students respond by dragging an icon on an image of your choice. 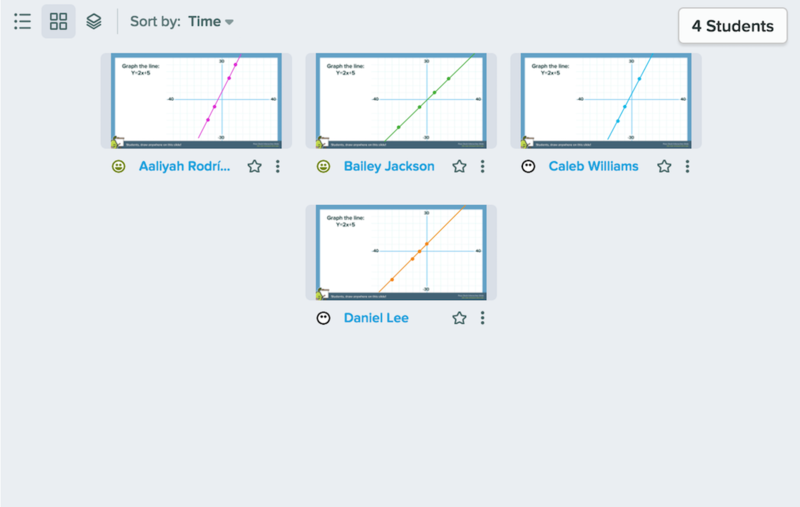 You can set up to 5 icons or lines for students to drag. 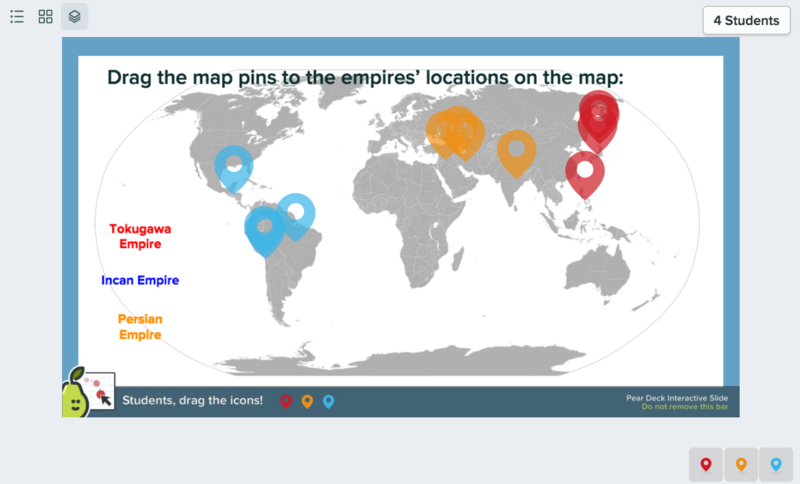 For example, they can drag the map pins to the places listed. Ask your question and put any images or instructions you want on the slide, including the image you want students to respond on. Choose the Draggable™ option from the the Sidebar. In the pop up menu, select the icons you want to use, adjusting their size and color accordingly. 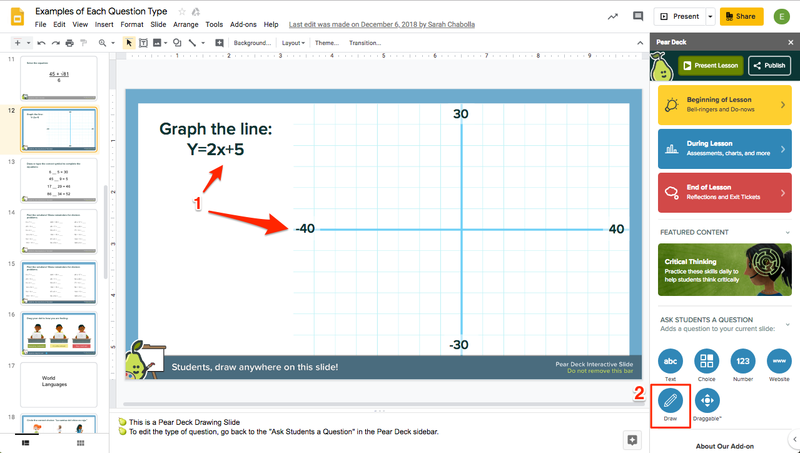 The anonymous aggregate view that you can share on the projector will display each student's icon (or line), overlaid on top of each other. You can also display each student's answer individually in Grid View. 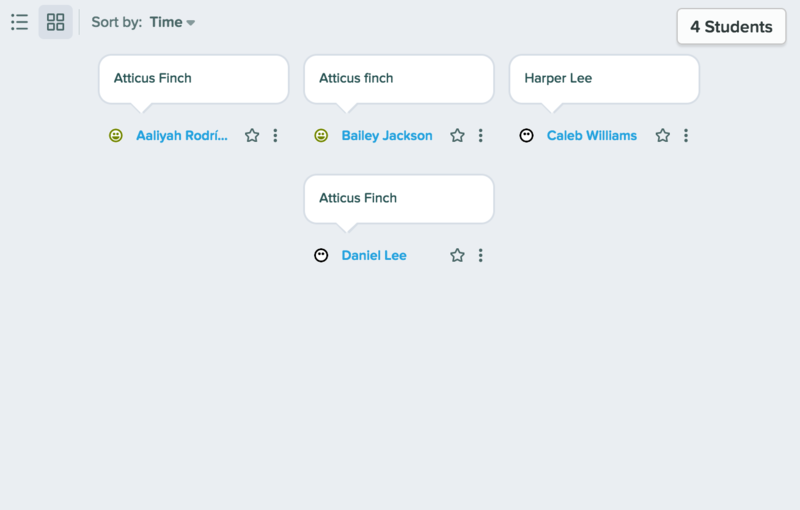 With the Teacher Dashboard, you can see each individual's answer and select which icon you want to show on the projector. 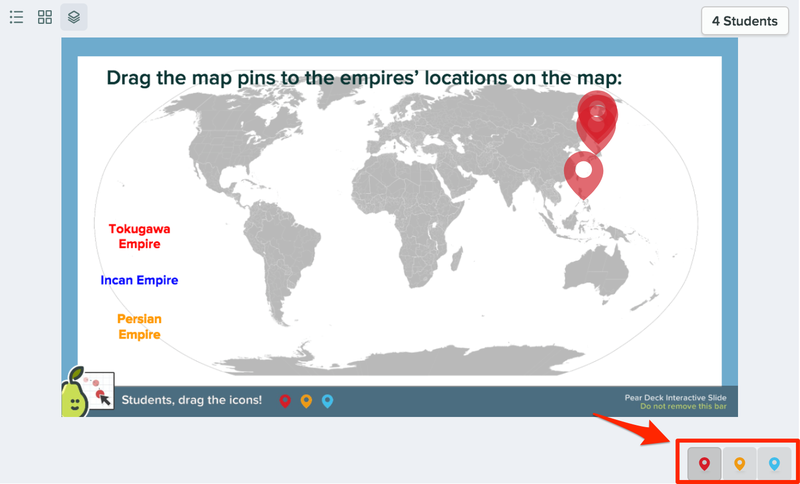 In the example below, I've chosen to just see the Red Pins. Students respond by drawing on a canvas or background image. 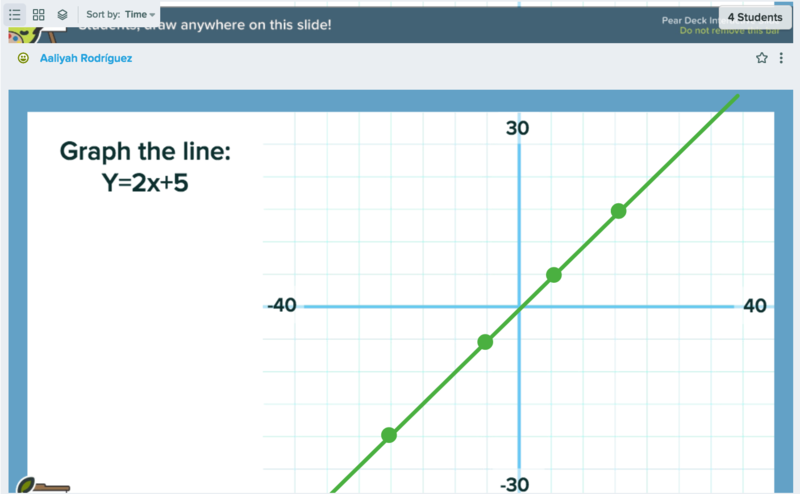 For example, they can graph a line. 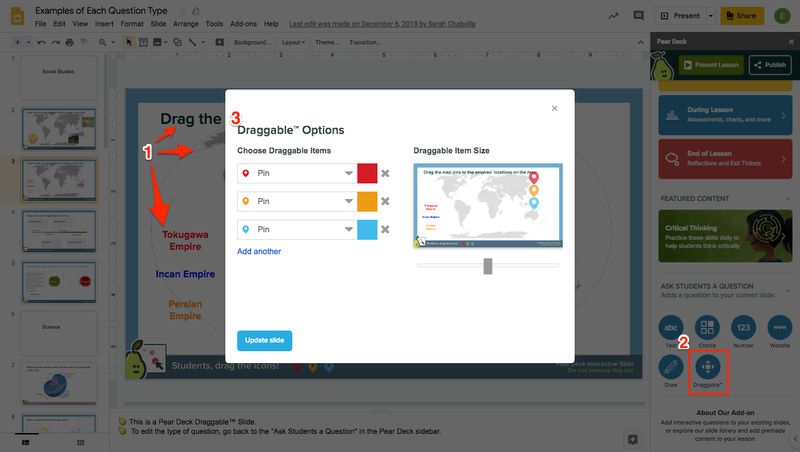 Put your content on the slide, including the image or background you want students to draw on. Click on the Draw option in the Sidebar. 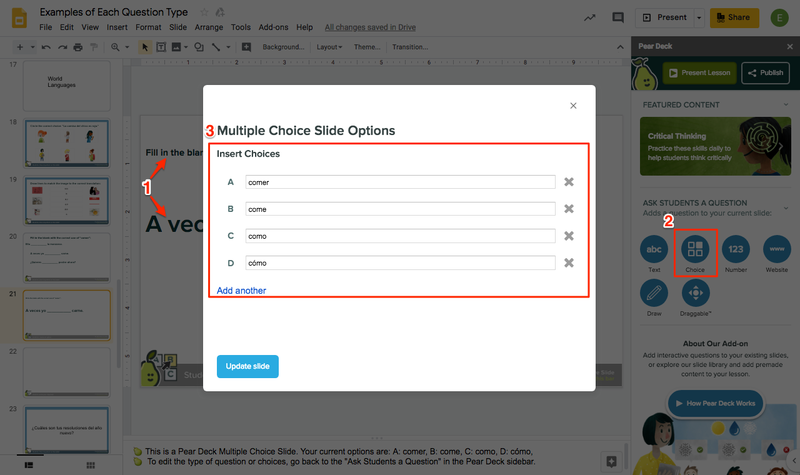 The anonymous aggregate view that you can share on the projector has 3 choices. You can show the answers individually and scroll through the list, you can overlay the answers, or you can display the answers as a grid. Students respond by typing text. For example, ask which character from To Kill a Mockingbird this quote belong to. Put your content on the slide. Choose the Text option in the Sidebar. 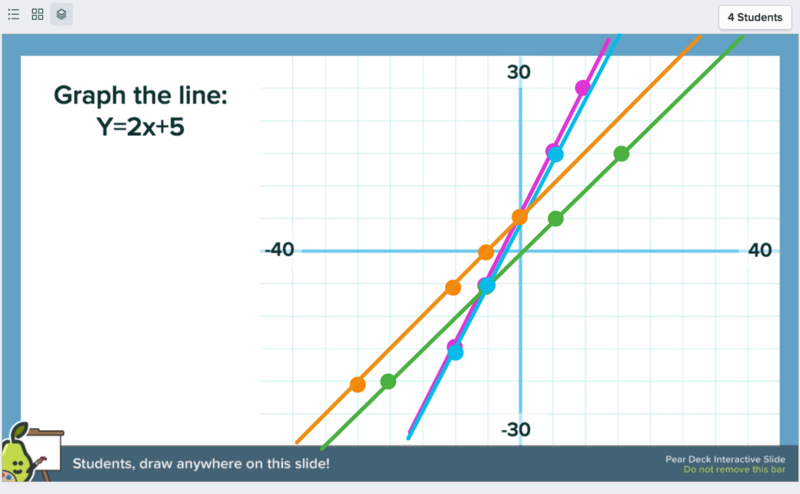 The anonymous aggregate view that you can share on the projector will show student answers like a thought feed. You can display them in a list and scroll through it, or you can show answers like a grid. Students respond by typing a number. For example, students can solve an equation and leave a number response. Choose the Number option from the Sidebar. 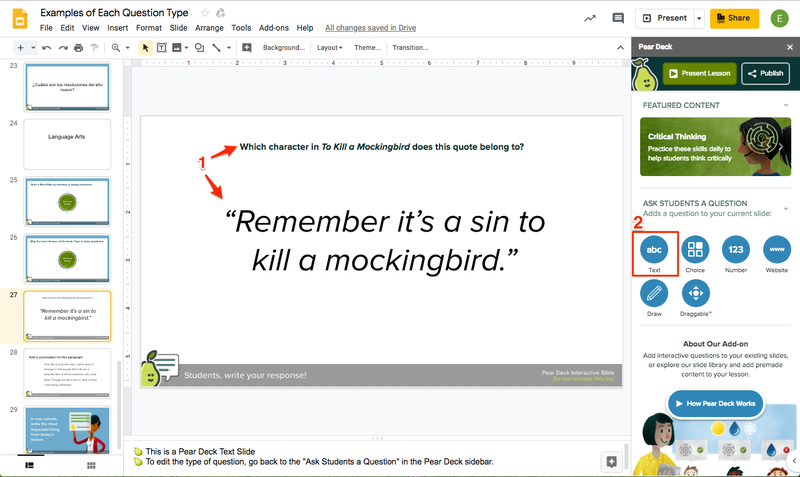 You can display anonymous answers in 2 ways on the projector. 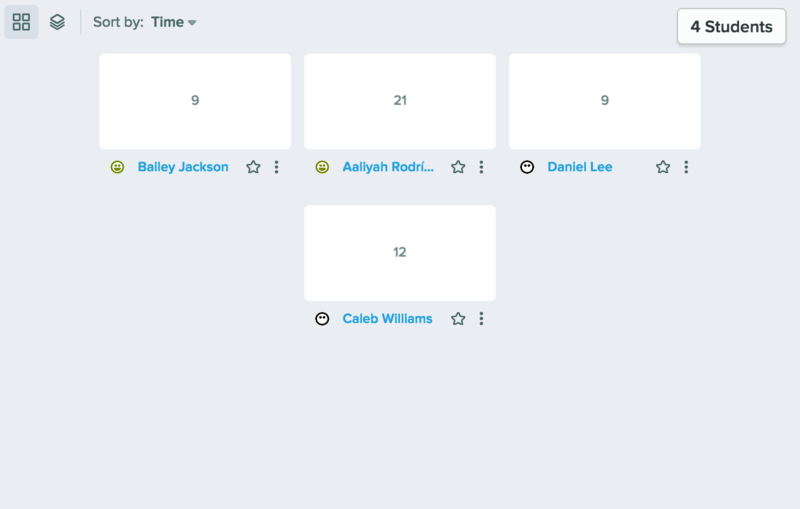 One is a simple grid layout of the numbers students entered. The second is a Box and Whiskers Graph. A line goes through the median answer and a grey box surrounds 1/2 of all answers - this way you can quickly see the range where the majority of the answers fall. 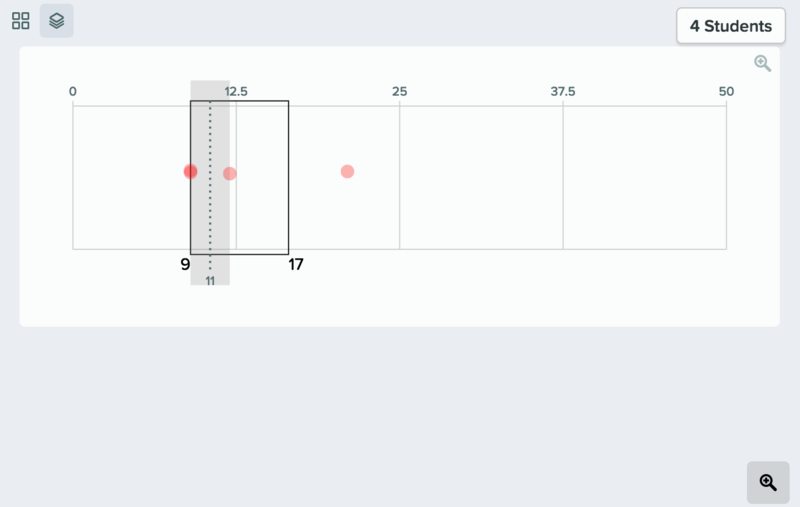 The thin black lines demarcate the high and low answers (unless there are some extreme extreme outliers. You can zoom in on that range to ignore any of those super extremes that might make it hard to analyze the majority. Students respond by selecting one of your predefined answers. Depending on the question, it can be a great idea to supply multiple defensible answers to spark discussion. 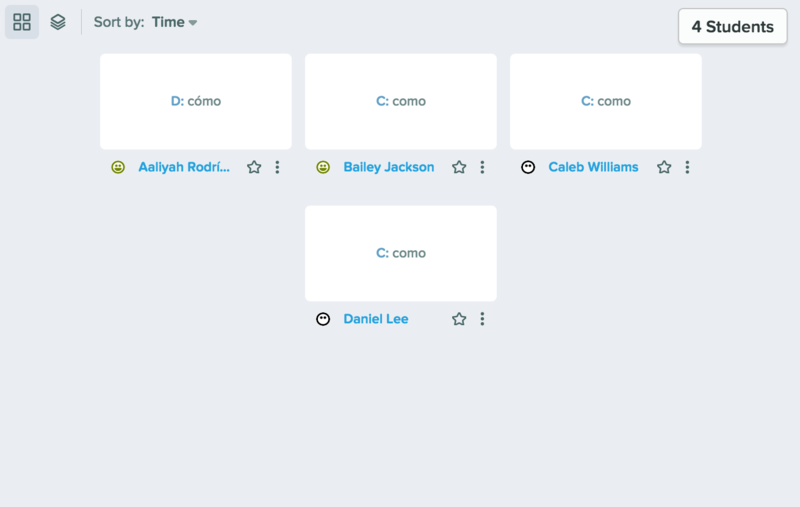 For example, students can fill in the blank with the correct use of "comer". Click on the Choice option in the Sidebar. Type in the different response options you want students to choose from. 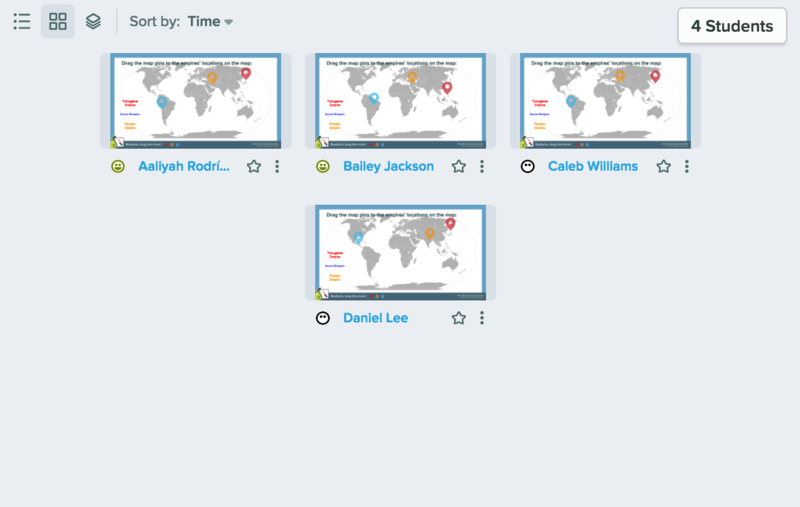 The anonymous aggregate view that you can share on the projector displays student responses as a tally. 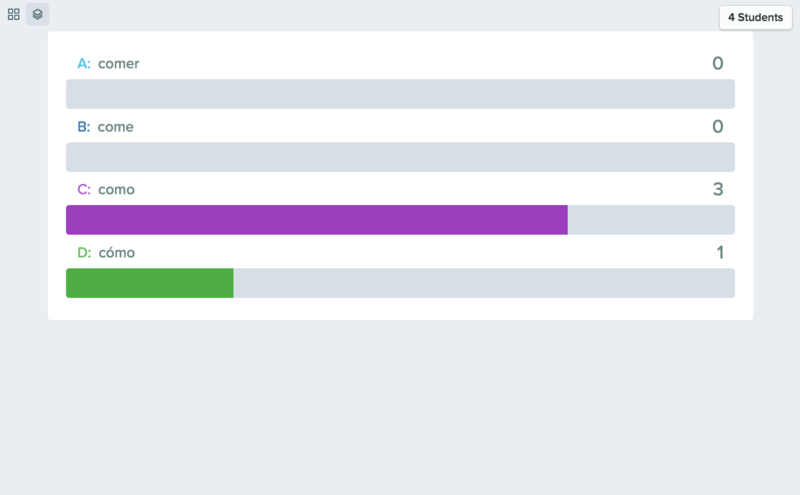 You can also display each answer choice individually in Grid View. And there you have it, the five types of questions you can ask students!